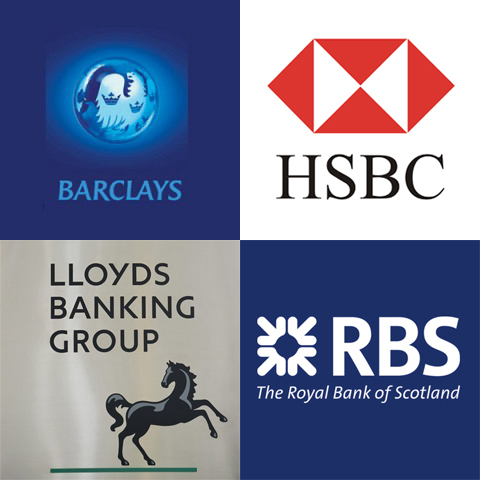 The more that comes to light about the nefarious activities of the Big four banks, the more extraordinary it is that these banks (a) demand a return to business as usual (which of course caused the financial crash in the first place), (b) continue to fight back against any reforms of a dysfunctional finance sector, feeble though these measures are, (c) show not a scintilla of remorse or apology for the decade of disaster they’ve imposed on ordinary people and the economy as a whole (remember Bob Diamond’s infamous comment “It’s time to move on” as though nothing had happened), and (d) have never been held to account by prosecutions of the chief executives, finance directors and other executives responsible. This is all the more staggering when what has now been revealed is the enormous extent to which all 4 banks not only indulged in, but actively promoted, tax evasion/avoidance on an industrial scale. Barclays has 385 subsidiary companies in tax havens (36% of all its subsidiaries), HSBC has 550, Lloyds has 290, and RBS has 404! If that were their only wrongdoing, it would be bad enough, but these huge financial conglomerates are utterly shameless. The charge-sheet is a long one. For Libor-rigging, which has contaminated pricing of £36 trillion worth of financial transactions across the world, Barclays has been fined $453m in the US, HSBC $1.9bn, Lloyds $370m, and RBS $612m. For rigging the foreign exchange market Barclays has been fined £500m, HSBC £236m, and RBS £400m. For the product protection insurance scam on which they all fed themselves at the trough, Barclays has now been forced to set aside £2.6bn in compensation, HSBC £1.5bn, Lloyds £6.7bn, and RBS £2.2bn. For the small business interest rate swap agreement/swindle they perpetrated, Barclays is now being forced to pay redress to 2,900 businesses, Lloyds to 3,130 businesses, Lloyds to 1,630 businesses, and RBS to no less than 7,330 businesses. In addition, they’ve all been indicted for malfeasance in the US, with Barclays fined $300m for sanctions busting on behalf of Iran, Burma and Sudan, HSBC fined $1.9bn for money laundering for drug cartels and financing for terrorism, and Lloyds fined $350m for sanctions busting on behalf of Libya, Sudan and Iran. This is a stunning record of evil-doing, yet not a single top banker has been prosecuted because the political-financial elites are in cahoots – what a contrast to those struggling to survive at subsistence level, and then sanctioned by this same government often for the most trivial infringements, leaving them penniless. To cap it all, there are still 428 bankers at Barclays paid more than £1 million a year, 204 at HSBC, 25 at Lloyds, and 95 at RBS. Adding insult to injury, bankers at Barclays still get a total bonus package of £2.5bn, at HSBC it’s £2.4bn, at Lloyds it’s £370m, and at RBS it’s £590m. What all this reveals is that the Big 4 banks are corrupt, greedy, self-centred, and in terms of Britain’s needs utterly dysfunctional – they are at the heart of everything that is wrong with Britain at this time. Posted in: Economy, Finance, Taxation.